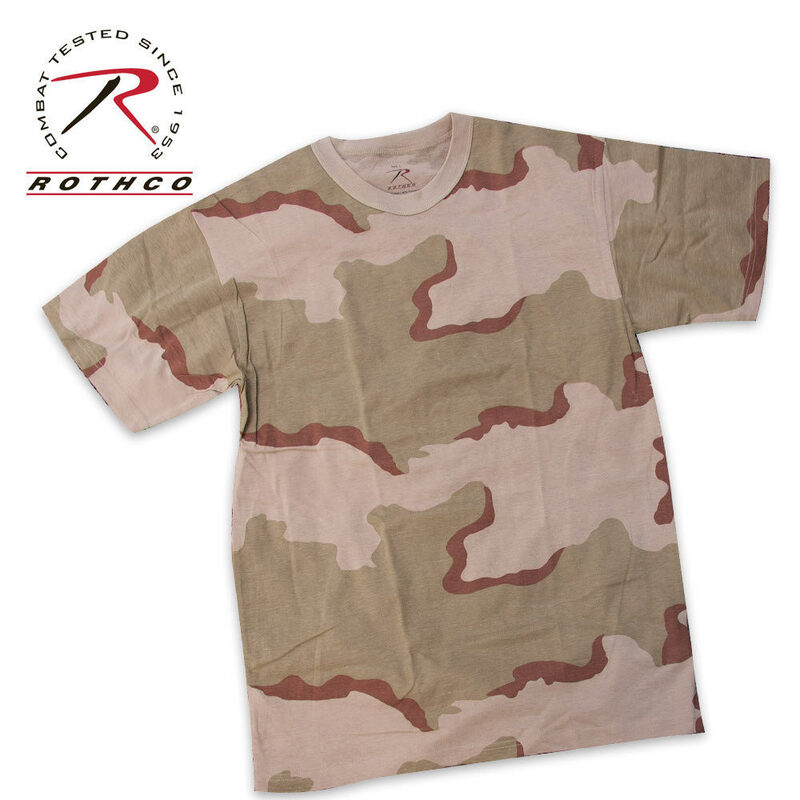 Military Camouflage T-Shirt Tri-Color Desert Camo | BUDK.com - Knives & Swords At The Lowest Prices! This 60% cotton and 40% polyester blend T-Shirt features the official U.S. Military camouflage pattern, Tri-Color Desert Camo. Rothco's red tagless label makes this shirt comfortable to wear. Please specify size: available in sizes LG, 1XL or 2XL.